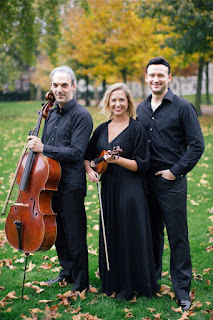 The next Rhinegold LIVE is on Monday 7 December 2015 when, at the Conway Hall, you will get the chance to hear Trio Elegiaco in Tchaikovsky's Piano Trio in A minor. Trio Elegiaco consists of John Paul Ekins (piano), Hannah Dawson (violin), and Pierre Doumenge (cello), and whilst all are extremely exciting and experience performers their debut as a piano trio came at the Sacconi Festival in Folkestone earlier this year. At that debut they got a standing ovation, so expect fireworks. 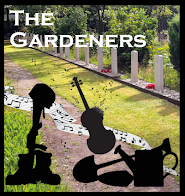 In fact the trio was formed specifically to play the Tchaikovsky trio in Folkestone, but such was the success that the Trio Elegiaco seems set to run. The performance takes place at Conway Hall on 7 December 2015, at 7pm, with drinks from 6.15pm and the Tchaikovsky will be followed by a Q&A between Kimon Daltas, editor of Classical Music Magazine, and members of the group. Tickets are free, sign up at the Rhinegold LIVE website.